*100% of donations made through the link above go directly to Hearts & Hands regardless of whether we make it to the next round. If you have questions about how to donate, click here. ﻿what is brackets for good? ﻿Brackets For Good is an Indianapolis-based nonprofit that organizes and hosts online fundraising tournaments for other local nonprofits during March Madness to encourage competitive fundraising for awesome causes. The winning nonprofit will receive a $10,000 grand prize donation from the 2016 Title Sponsor, Valeo Financial Advisors. Picture the annual Men's College Basketball tournament, but replace the teams with nonprofit organizations, and that's Brackets For Good! The nonprofits advance (or win each round) by raising more money than their opponent. Each week from February 26th to April 1st, nonprofits "play" one another and advance through the tournament by scoring more points than their opponent. 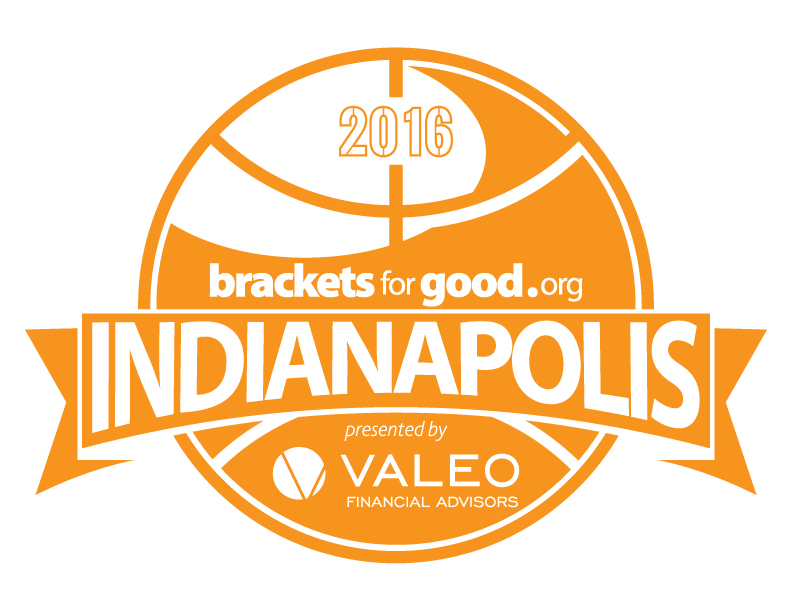 Organizations earn points when supporters donate on their BracketsForGood.org page. Every dollar donated equals one point, with points resetting after each round. Friday, February 26, 2016: TIP OFF at 8 p.m.
Friday, March 4, 2016: Round 1 ENDS at 7:59:59 p.m.
Friday, March 11, 2016: Round 2 ENDS at 7:59:59 p.m.
Friday, March 18, 2016: Round 3 ENDS at 7:59:59 p.m.
Friday, March 25, 2016: Round 4 ENDS at 7:59:59 p.m.
Tuesday, March 29, 2016: Round 5 ENDS at 7:59:59 p.m.
Friday, April 1, 2016: Championship ENDS at 7:59:59 p.m.